Every business plans! Planning is a critical process; however, finance teams often struggle with long planning cycles, limited visibility and data integrity challenges. 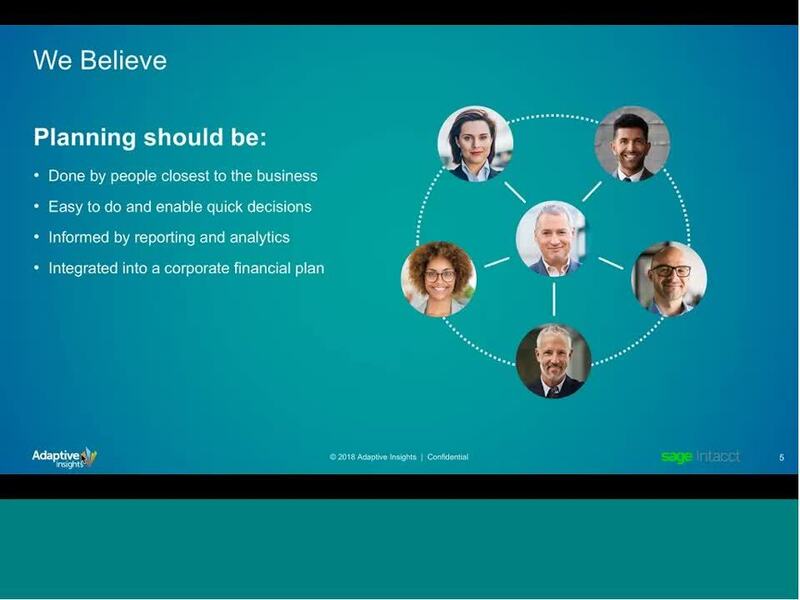 In this webcast we'll see how Adaptive Insights can help make your Finance team more strategic by streamlining your planning and reporting processes and translating data into insights. You will also hear planning transformation stories of your peers and get a short demo of Adaptive Insights’ Planning Solution.